Honoree Jennifer Coolidge at the Land’s End Inn in Provincetown. 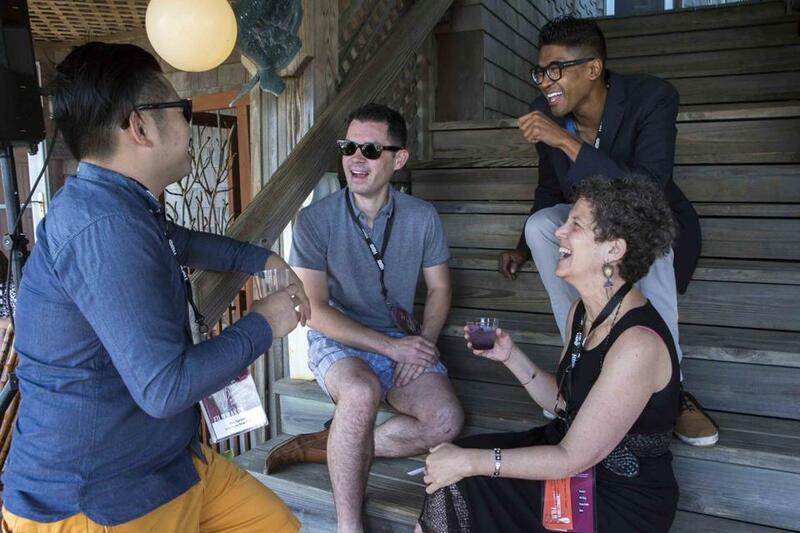 The Land’s End Inn was packed Saturday afternoon with filmmakers, stars, and producers on the Cape for the Provincetown International Film Festival. The PIFF’s annual garden party, which draws festival VIPs to one place for a schmooze-fest during the five-day event, welcomed all of the big names, including “Legally Blonde” and “Best in Show” actress Jennifer Coolidge, who was honored with the Faith Hubley Career Achievement Award, Provincetown’s own John Waters, and director Bobcat Goldthwait, who picked up the Filmmaker on the Edge award, a prize that went to David Cronenberg last year. Coolidge’s trip to P-town wasn’t a long one; the Norwell native has been living in Central Square while rehearsing for the Nora Theatre Company’s “Saving Kitty,” which opens July 9. At the garden party, Kahn said she couldn’t tell us who will be distributing her film, but did confirm that there are plenty of offers on the table. She added that she was pleased to have time to check out other films, including Bao Nguyen’s “Live From New York!,” which celebrates “Saturday Night Live.” “It was nice to finally see it,” Kahn said, having missed it at other festivals because she was screening her own documentary. “Awesome_FCK,” Jamaica Plain’s Benoit Denizet-Lewis, who was there with the film “I Am Michael,” and “Danny Says” director Brendan Toller, whose doc is about former Ramones manager Danny Fields. Toller grinned when he told us that Waters was first in line for the screening of his film, and that he said he liked it. 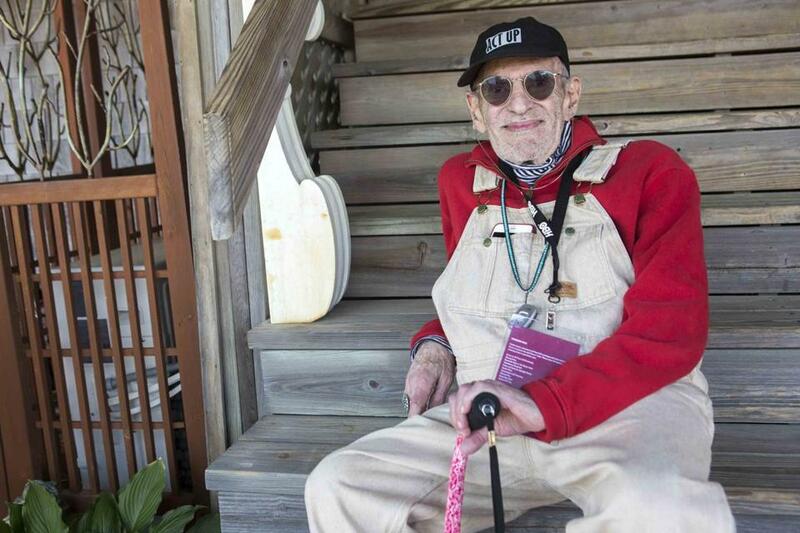 “That’s the equivalent to an underground Oscar,” Toller said. Waters told us he tries to see as many movies as possible during the festival, but said his Q&A and hosting duties keep him busy. It’s been a hectic season already for the director and author, who gave the commencement speech at Rhode Island School of Design last month. 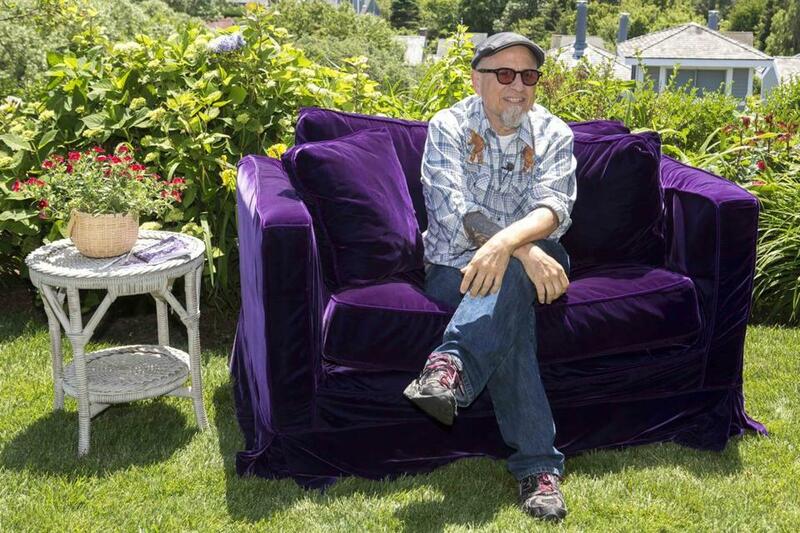 Bobcat Goldthwait, another honoree, at the Land’s End Inn. From left: Bao Nguyen, producer Josh Watson, director Hernando Bansuelo, and Laurie Kahn. Playwright and activist Larry Kramer also was in attendance.